Expertly crafted wide yellow gold bangle composed of an overlapping band in a contemporary matte finish – simply sumptuous. 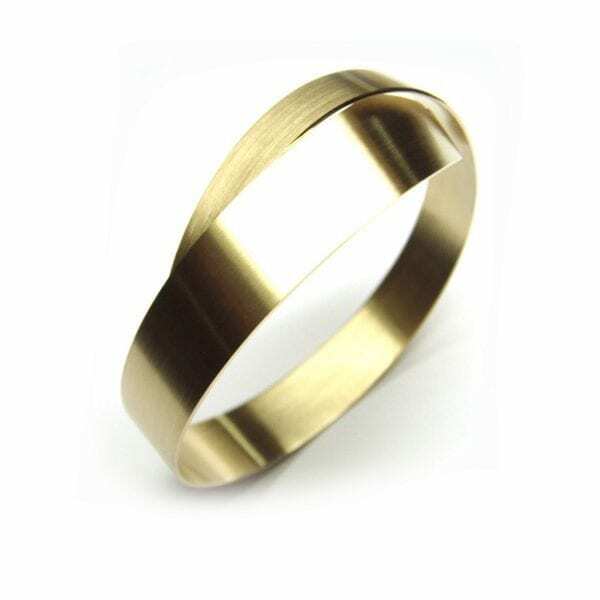 We thought you would like to know has been eyeing up our 14k Yellow Gold Arc Bracelet for some time now and has requested we bring it your attention. What's your question about 14k Yellow Gold Arc Bracelet? 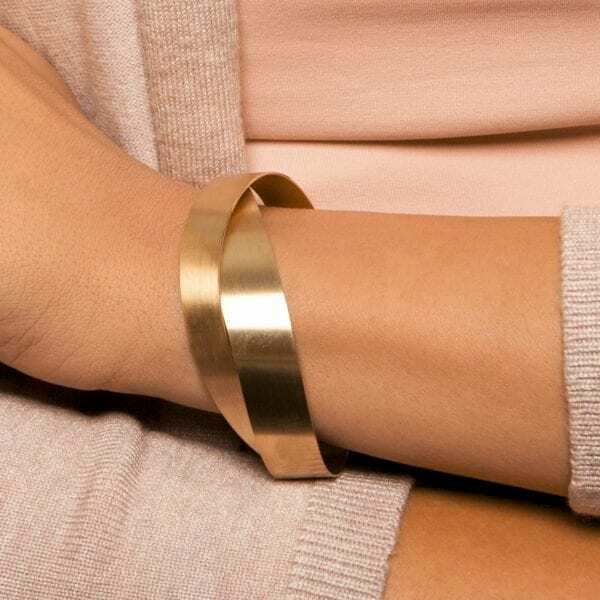 This stunning and unique Arc bracelet is made from a single sheet of 14k yellow gold. The tapering bracelet is extremely comfortable to wear and looks exquisite on. Bracelet Diameter: 65mm. Bracelet Width: Tapers 13mm - 9mm. Note: Available to order in different metals.